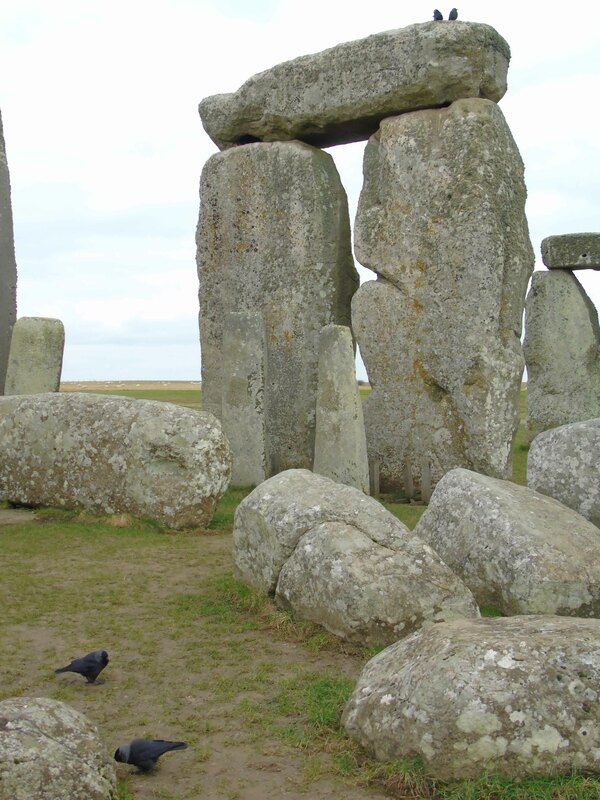 Why are there jackdaws at Stonehenge? I’ve got chocolate and REF outputs, and I’ve even got a WordPress blog indeed. 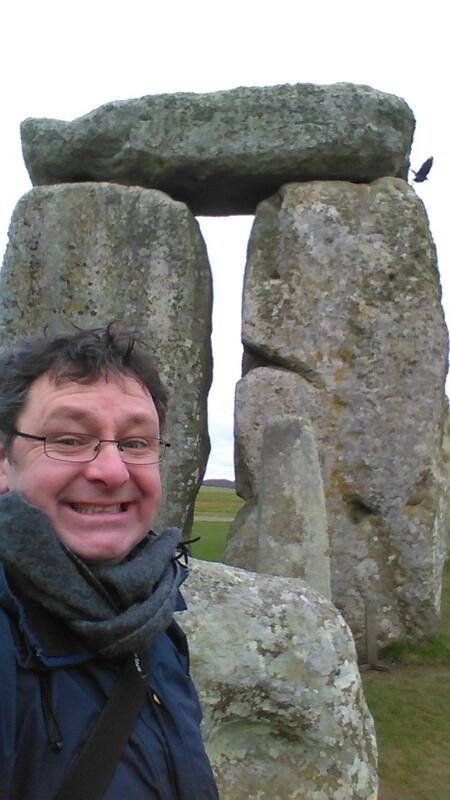 For the first time in my life, I combined a brief foray down to Wiltshire with an advanced early morning pre-opening booking to explore inside the stones of Stonehenge. For the record, I drove a university fleet Vauxhall Astra (a car you can trust). Never mind the car, let’s talk about the henge. It was a cold, early March Sunday morning. I parked and waited at the visitor centre, showed my ticket and then experienced an empty bus drive to the stones. As I alighted, the driver warned me of the many things I’m not allowed to do to the stones (including touch them, hit them, light barbecues on them and even lick them). Then was the final approach. I walked from the bus towards the unique and world-famous monument. I was met by a very friendly ex-military security guard who showed me inside the stones and some of the historic graffiti. I was then left to my own devices to wander with wonder among the stones themselves and take photographs. Although there was another tour group enjoying the same experience, they were focusing on solar alignments and dowsing. I was watched the whole time I was within the stones. 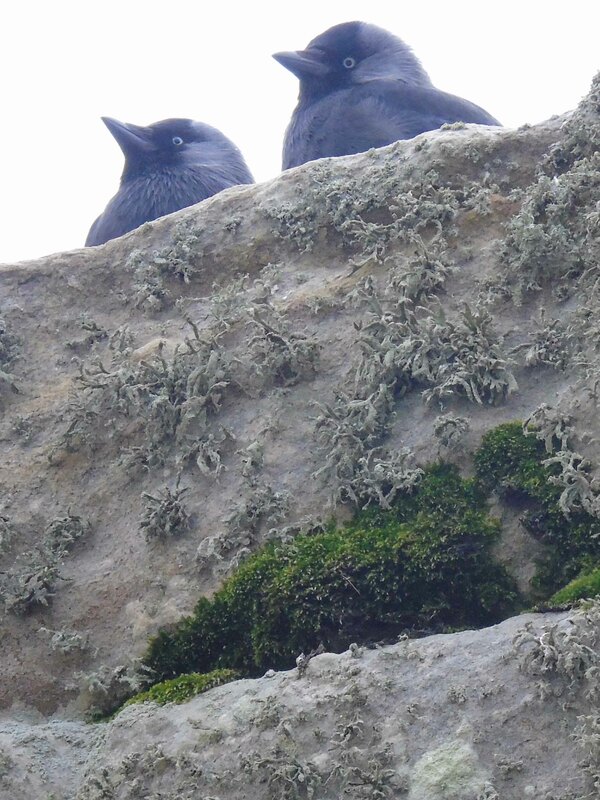 Not only were my movements observed by the security guards, by this point ex-military Gurkhas, but also by two pairs of jackdaws who are the nesting residents of the stones. Mr and Mrs Jackdaw x 2 flew from perch to perch, and then got bored and one pair decided to come down to the ground and look for worms. The other pair hid among the rocks between the lintels and the uprights of a trilithon, presumably one of their nesting sites. 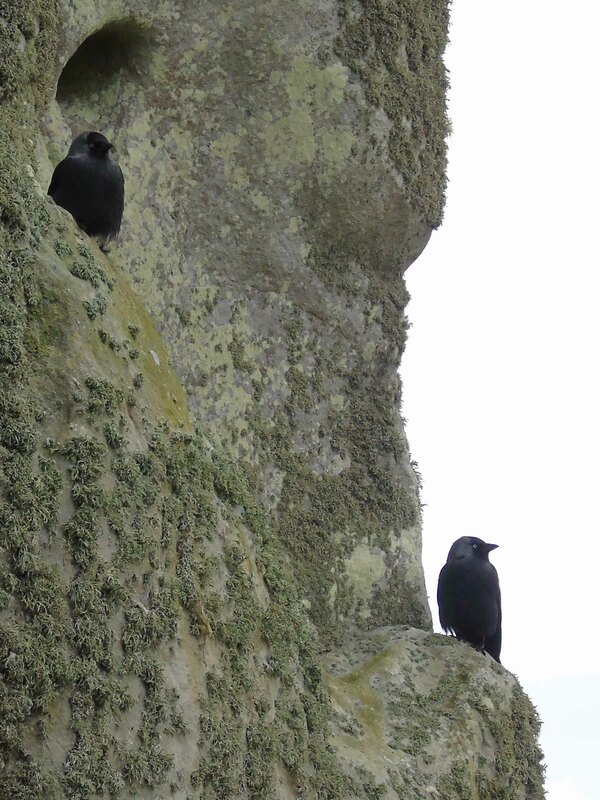 It made me wonder for how many generations similar corvids have created a distinctive avian environment for this ‘stone hanging-place’ (one possible interpretation of the Old English place-name ‘Stonehenge’). The work of Mike Pitts and colleagues has clearly demonstrated that around the 7th/8th centuries AD the middle Anglo-Saxons used this relatively remote hundredal boundary location as an execution site. Hence, the place-name might refer to the association of the trilithons with two-post gallows and thus the place with death and damnation. As work by Sarah Semple has shown, among the variegated perceptions of prehistoric monuments, standing stones and stone circles might have been regarded as particularly fearful places. 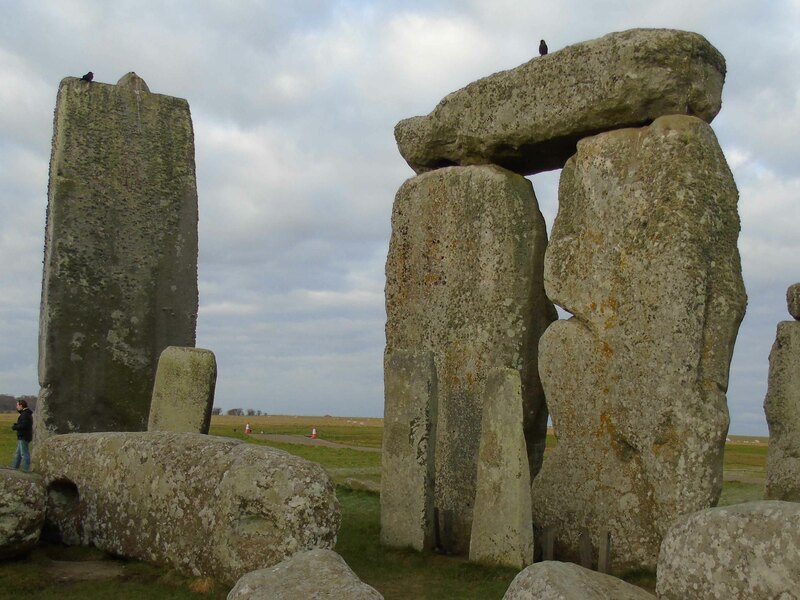 While so much has changed in the landscape around Stonehenge, a key point linking past and present is that Stonehenge was likely a distinctive lithic avian microclimate as it is today. I bet there were jackdaws there in the Anglo-Saxon period too, creating a distinctive living presence to this particular locale in the landscape. 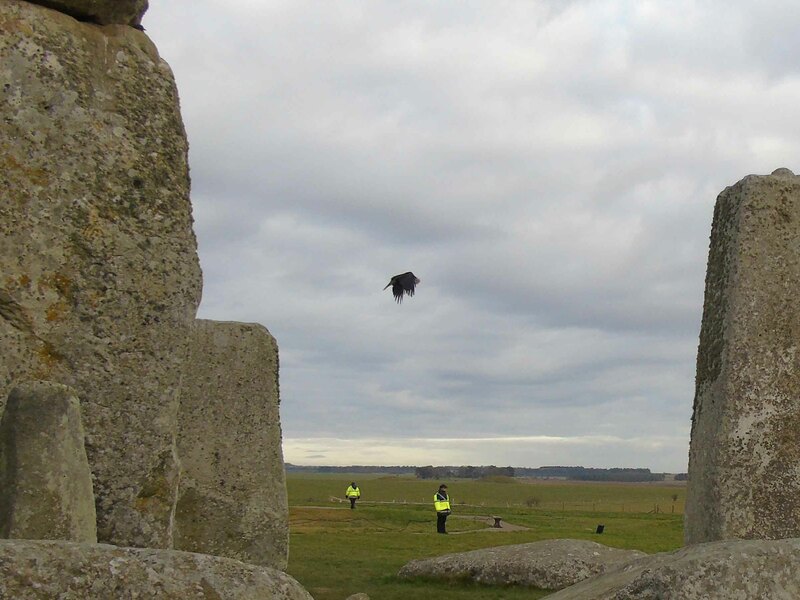 Far earlier still, perhaps there was jackdaws and other corvids inhabiting the landscape of Stonehenge from the Mesolithic and then upon the monument in its various phases through the Neolithic and into the Early Bronze Age, Iron Age and Roman period. 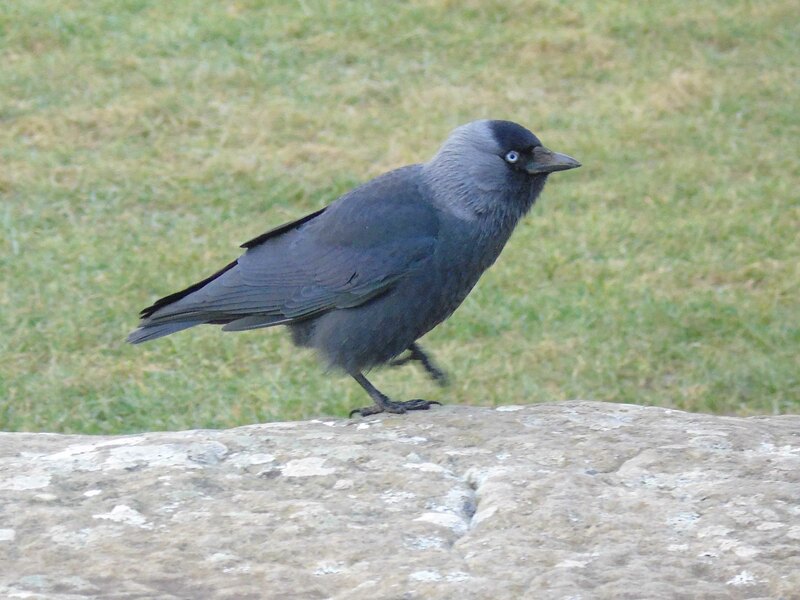 Actually, I find jackdaws very friendly and inquisitive and they possess a memorable and exclusive set of behaviours – walks, hops and flight. They are smaller and distinctive in appearance compared with other corvids, and they emit a very striking unforgettable high-pitched bark-like call. Their eyes are also a striking feature and the silver sheen behind their heads. 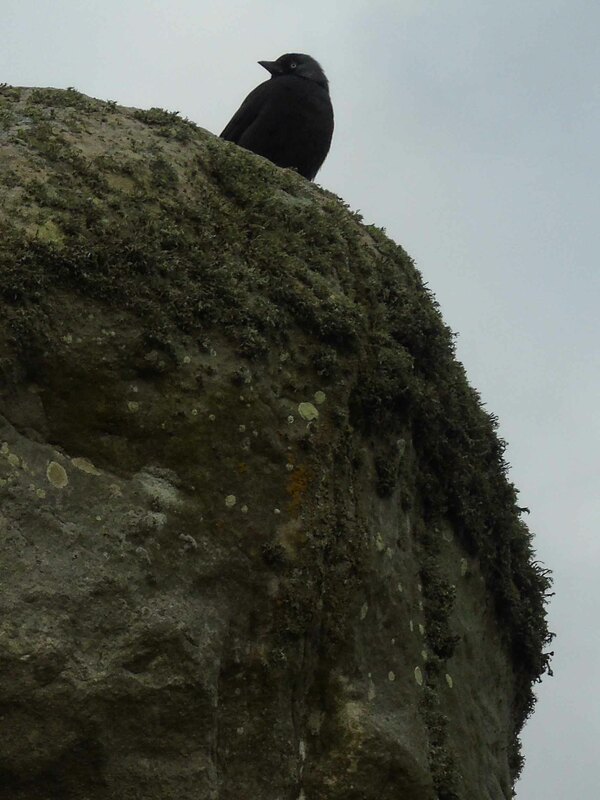 Therefore, it isn’t utter speculation to suggest that the avian presence is an enduring and distinctive component of the monument – almost certainly not intended, but perhaps certainly accrued – of these great stones. Those visiting the stones in the past couldn’t have done so without being observed by the birds, and they would have had to share the space with the birds. It’s therefore a double shame that (a) the Anglo-Saxon uses and allusions to Stonehenge as a place of execution are overlooked by the heritage interpretation and (b) that the best the Visitor Centre shop seems to offer is Tower of London-reject cuddly ravens/crows rather than potential to sell distinctive and super-cute cuddly jackdaws. Without the technology? We have today? Obviously it’s because they’re sacred birds…. I’ve added a link to your blog post. Thanks! They certainly made a good living from table scraps at the old visitor centre cafeteria was there. So did the starlings. I reckon that’s why they are there. Just hung on afterwards. And it doesn’t hurt that humans sneak them biscuits either…Enjoyed this! Jackdaws enjoy intelligent conversation [well, Up North they certainly do, with quite clearly intelligent responses going back and forth on our roof – at their best at 5 am]. And where does a fellow find intelligent conversation, perhaps join a discussion group – and be sure of protection from the military on Salisbury Plain?